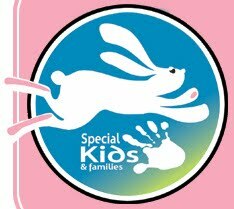 Bobby and I are signed up for the Bunny Run 5k this Saturday, April 3 at 9am. At the Daffodil Dash we saw folks with flower petal headbands – who will we see with bunny ears? Location: Around Audubon Park. Starting line at Oak Court Drive and Southern Avenue (park in Oak Court Mall parking lot). Format: 5-kilometer run/walk around Audubon Park. Runners begin at 9:00 a.m. Walkers start immediately afterward. 1 mile Family Fun Run after race starts. A great family event including children’s games, face painting, Easter egg hunt, a visit from the Easter Bunny, and great food and prizes – Fun for the whole family, so bring the kiddies! One question…Will you be sportin' bunny ears? I didn't! I should have got to Target and gotten some. They took a big group photo of all the bunny ear wearing people at the end of the race. Previous Previous post: The Germantown Half Marathon – Times & Pics!